ProStrainer™ Hybrid - Contact for info! - Proflo, Inc. The next generation ProStrainer HP (High Pressure), is designed for 12" to 24" flanges and pressure rated up to 75 psi. The HP model still offers all the features and benefits of the ProStrainer but can handle higher pressures for more industrial applications. 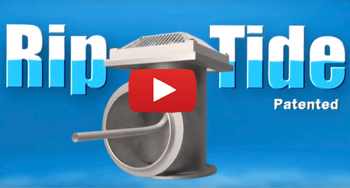 The electric self-cleaning screen strainer enables high quality straining at degrees of 100 to 4000 micron from different types of fluid sources such as sewage, reservoirs, rivers, lakes, and wells. ProDrain™ - Contact for info! ProStrainer™ Hybrid - Contact for info! Please take a moment to fill out the following form and we'll respond asap. Your information is safe with us - we won't share it with anyone. For Technical questions feel free to call us at (303) 973-4447. For Sales questions please contact (303) 862-9916. Stay up to date on news from ProFlo. Your info is safe with us.